24” width There’s room for up to 16 place settings. 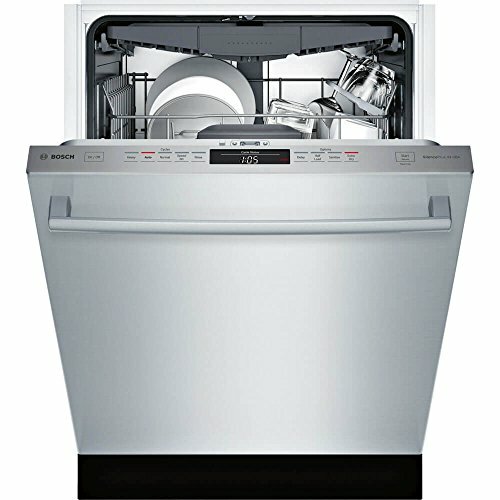 Plus, choose from 5 wash cycles including five-level wash, 4 options like Extra Dry, and a concealed heating element. Speed 60® A quicker clean. Select this option to take dishes from dirty to dry in less time. Water softener Get shinier dishes every time. 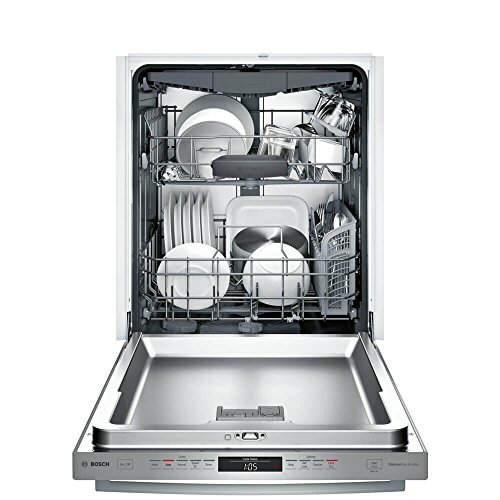 This dishwasher’s water softener function leaves cookware, utensils, glasses and more pure and spotless. Flexible 3rd rack Accommodate the odd one out. Adding the 3rd rack with its adjustable tines can create the right fit for deep, tall, or uniquely-shaped items. RackMatic® Fit it all, every time. With 3 different height levels and up to 9 possible rack positions, you can customize each load for your needs. 24/7 Aquastop® Protect your floors. This 4-part leak prevention system uses sensors to detect and stop leaks, and can even turn on by itself. 44-dBA noise level rating Wash dishes in peace. Bosch dishwashers are so quiet, you have to check the exterior Infolight® to know they’re on. Dishwasher hookup kit is not included, but is sold separately.